Chandler, Arizona is in the East Valley area and about 20 minutes from Phoenix Sky Harbor airport. It is a modern and young town, great for kids and families. Here’s a list of some of our personal favorites. 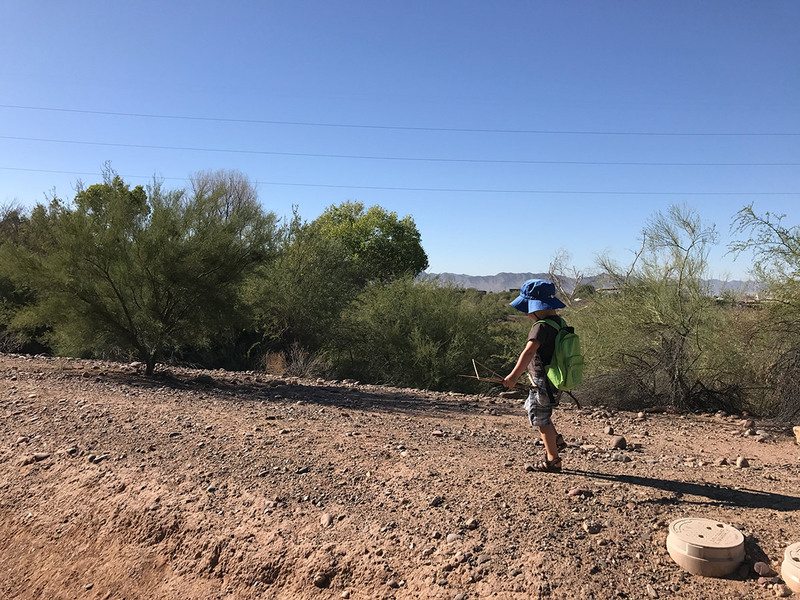 Maybe it’ll spark an idea for a family fun weekend, activities for spring break, or introduce you to Arizona for the first time. Chandler Farmer’s Market — every Thursday from 3-7pm in downtown Chandler (look for the blue ramadas). A great variety of fresh produce, snacks, handmade items and live music! They also offer reading time and activities for children. Check the website for more details! Sozo Coffeehouse — the perfect place to kick back and relax with a latte. Added bonus: a kids play room! If you need a couple hours of downtime, or the weather isn’t cooperating for outdoor activities, you can’t go wrong with coffee, pastries and making new friends. 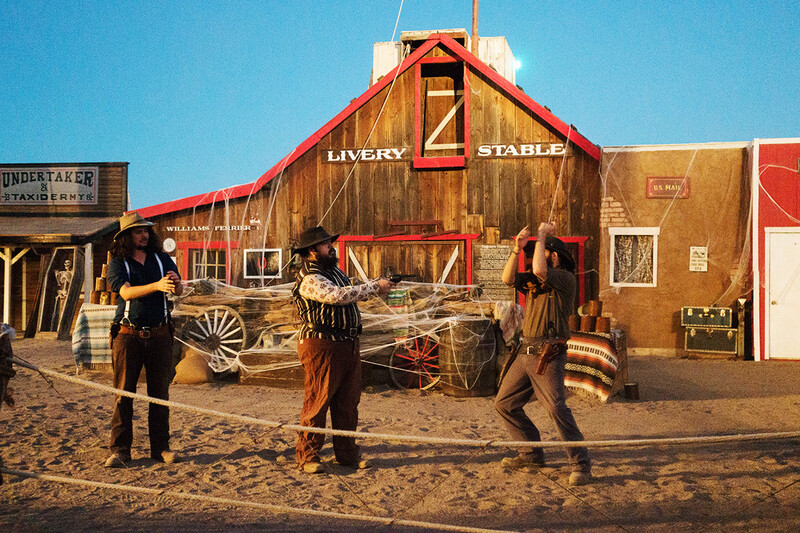 Rawhide — Ever wanted to visit a western town? 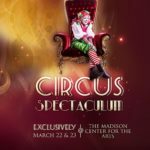 This is the place to experience it all! 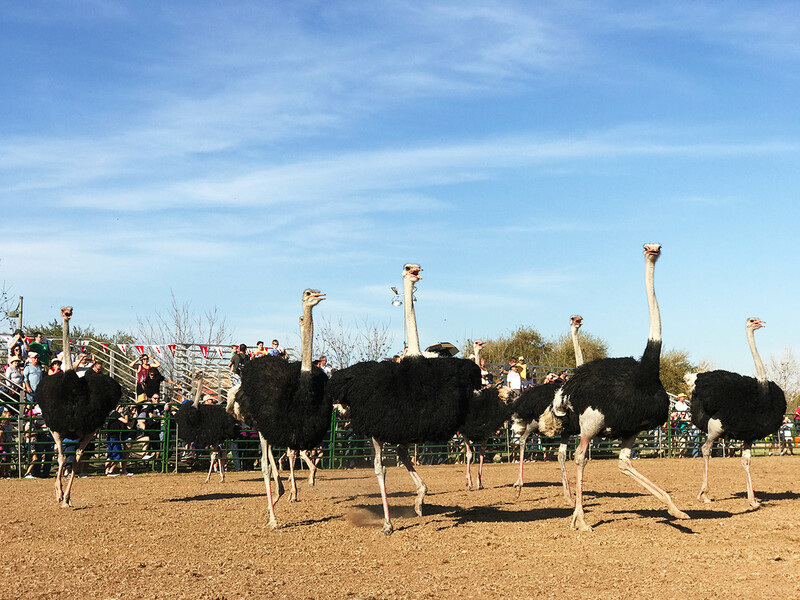 From the 4th generation blacksmith shop to a gunfight reenactment, rides and wall climbing, a petting zoo and shooting gallery, this and much more will keep all ages entertained. 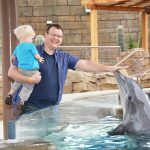 Our favorites were definitely the mini rollercoaster and gold panning (our 2 year old especially put his entire mind to picking out shiny rocks!). There’s an excellent steakhouse within the town as well with live music that will get your kids dancing. This is a definitely a place not to miss! Veteran’s Oasis Park — set on 113 acres, with a 5 acre lake, this is truly a taste of beauty and nature in the city. You can fish in the lake as well! On the first Saturday of the month, November-April, there are free bird walks that provide binoculars and bird bingo cards for kids. 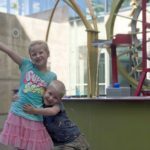 Also, don’t miss the Solar System Walk and the indoor educational center and nature store. Playtopia Playground at Tumbleweed Park — this is one of the best parks in the area, with several play zones including one under a bright red barn ramada (think shade for warmer days). Along with the normal swings and slides, there are short climbing walls and balance beams, monkey bars and bridges to make it unique. Our kids never want to leave. 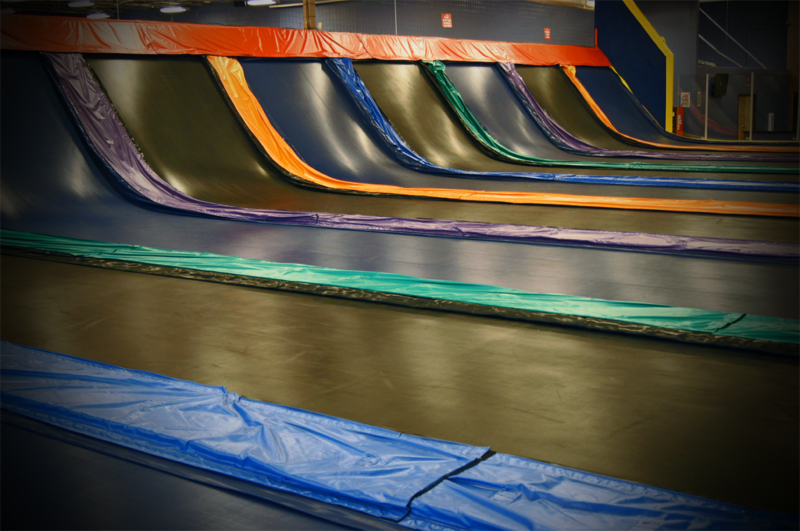 Kids That Rip Action Sports Center — KTR has the best variety of indoor sport options to practice skateboarding and parkour, plus an obstacle course and trampolines and more! There is also a cafe and a set aside area for little ones. 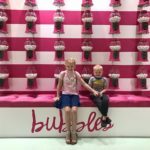 We were really impressed with the friendly employees, who encouraged our shy daughter to try new things and then celebrated with genuine enthusiasm when she succeeded! 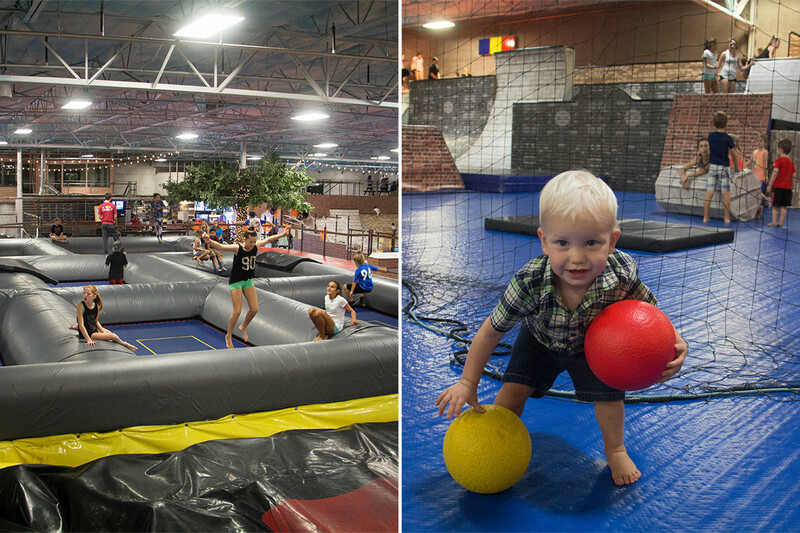 This is a great place for active families of all ages. Improv Mania Comedy Club — every Friday and Saturday night at 7pm, you can catch a family friendly show with hilarious skits set to live music. If you’re familiar with the TV show “Whose Line is it Anyway”, Improv Mania has a very similar structure where they will take suggestions from the audience and turn them into skits or short musical numbers. We had a great evening that kept us laughing (and groaning, but the puns were pretty good). They also offer a 9pm uncensored show. 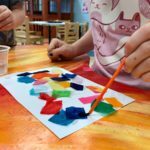 Burst of Butterflies Create & Paint Studio — for the creative minded, this is a great place to try your hand at canvas painting, pottery piece painting, glass art and more! They have ready made items to grab and paint, sure to be a hit with even younger children. Walk ins are very welcome, call ahead for groups. Located right next to Sammies, a perfect after craft treat! 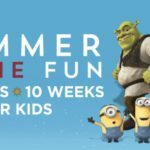 Chandler Fashion Square Mall — this is a fabulous place for the summer, with a wide variety of shopping for everyone (including our kids favorite, the Disney store!). Also of kid interest in the small indoor play area, a cute trackless train to ride around the mall, and an outdoor splash pad. We also enjoy visiting Barns and Noble, with their large collection of books and toys. Makutu’s Island — A huge tropical-themed indoor playground for kids ages 1-17 (free for the first accompanying adult). 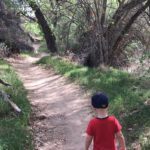 Desert Breeze Park — This park has it all! A train that circles the park, a carousel, and a huge lake. There are also tennis courts, baseball fields, a hummingbird habitat, and a climbing playground area. Splash pads! 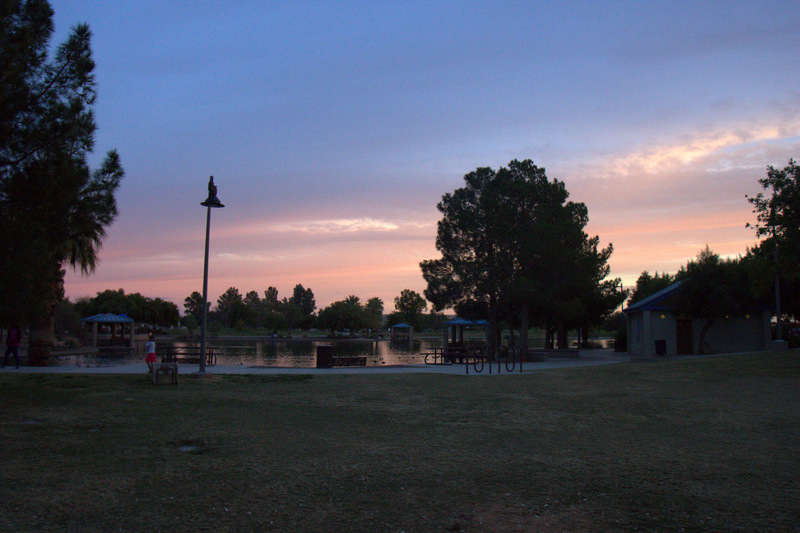 — We’ve compiled a big list of our favorite splash pads of the East Valley. Bella Gusta Urban Pizzeria — in the same shopping strip as Sozo Coffee is this fabulous Italian restaurant. 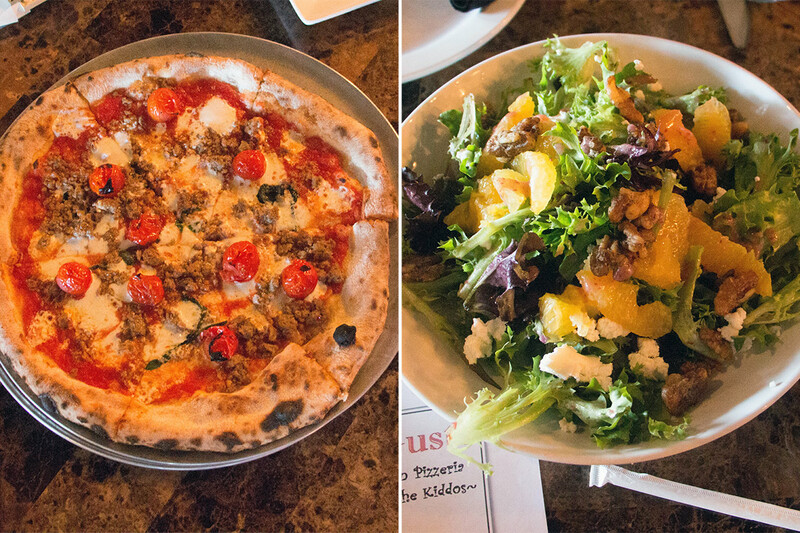 Wood fired pizza happens to be a family favorite and the chefs here offer amazing pizza, along with appetizers, flavor filled salads and more. The atmosphere is contemporary and totally inviting to families, groups or couples on a date night! 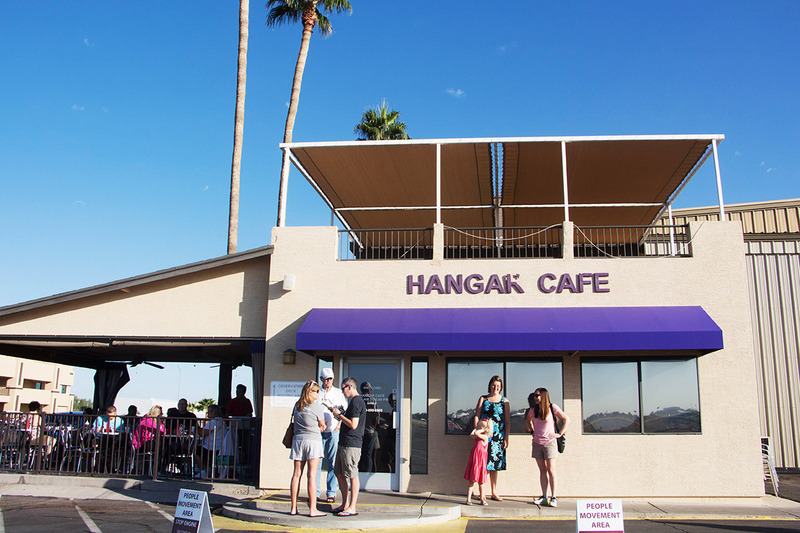 Hangar Cafe — for the airplane lover, it doesn’t get much better than this. The diner style restaurant is located at the Chandler Municipal Airport and you can enjoy breakfast or lunch while watching airplanes come and go! We enjoyed a Saturday morning brunch. Don’t forget to climb the stairs to catch a great view of take offs and landings. 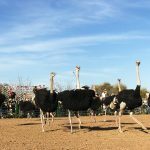 The Perch Brewery — located in downtown Chandler, this is a unique restaurant that has over 50 tropical rescue birds to view while enjoying dinner. Our kids loved it! There is indoor and outdoor seating, a full bar, and everything from pizza to burgers. Take your time and enjoy. Ice Cream Sammies — this is another downtown Chandler location with tasty treats. 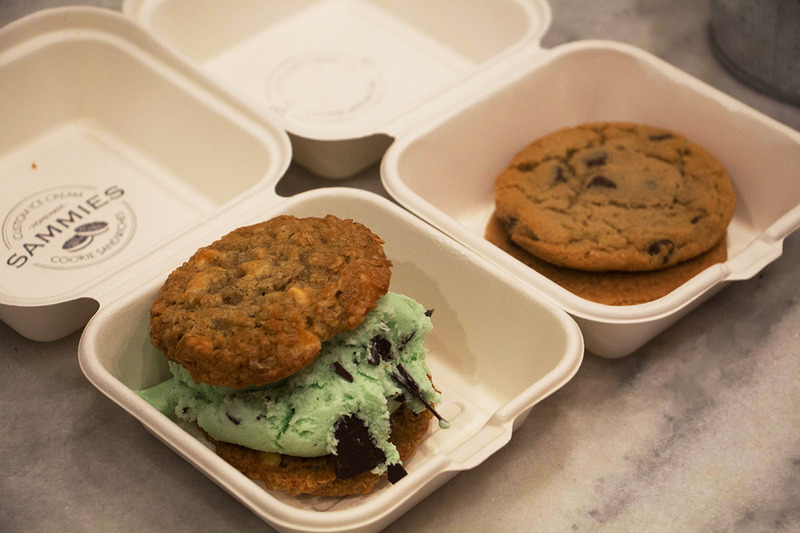 The ice cream sandwich is not a new concept, but places that make their own ice cream and cookies in house (and you can watch them!) is unique. (You can also get just cookies or ice cream.) Don’t miss the cute patio out back as well. Need a place to stay? 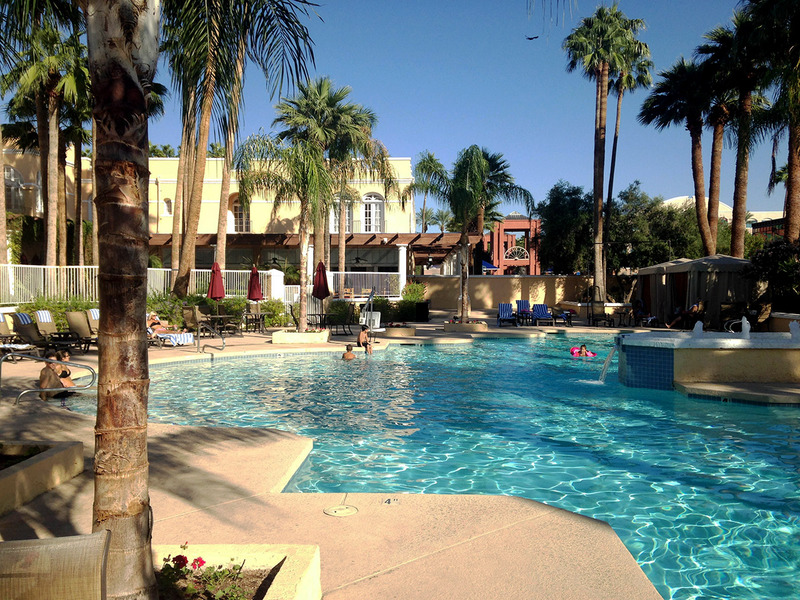 We recommend the Crowne Plaza San Marcos Golf Resort in downtown Chandler. Built in 1912, it’s a beautiful historic hotel with a golf course and modern amenities. AJ’s Restaurant, 1912 Lobby Bar and onsite coffee house also offer handy food and drink options. Our daughter loved the outdoor pool with the mini waterfall! This hotel is a great central location for activities both in Chandler and to branch out to Tempe, Scottsdale or Phoenix. Special thanks to the Chandler Office of Tourism for spending several days with us as we toured around Chandler. We were able to tour with Kimberly Janes of the City of Chandler and she made it possible for us to check out so many kid-friendly places in Chandler.